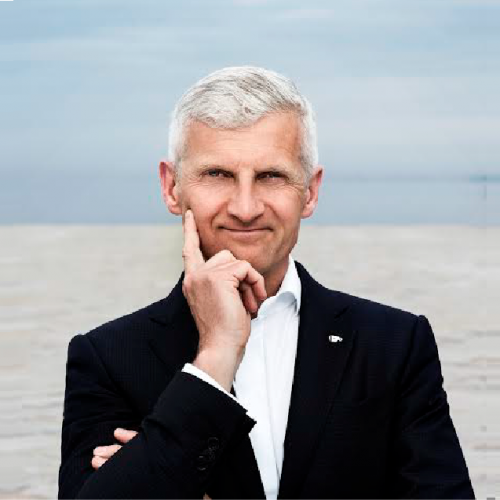 Andrea Illy is the Chairman of illycaffè., a 100% family-owned company founded in 1933 with the mission of offering the greatest coffee to the world. For 22 years, until 2016, he served as the company’s Chief Executive Officer. Since 1990, chiefly under Mr. Illy’s leadership, illycaffè has recorded double-digit growth, and has become the most global coffee brand and quality leader. The company is famous for its innovation in espresso technology, and pioneered significant advances in its industry, such as directly sourcing coffee from growers and paying a premium on top of market prices, establishing the University of Coffee to propagate coffee knowledge, and developing the first-ever third-party sustainability certification for a value chain. illycaffè has been recognized as the most sustainable company in the coffee sector (ICRT, 2014), as one of the World’s Most Ethical Companies (Ethisphere Institute, 2013-2018). The company won the Italian Best Performance Award in 2017.
starting in 2017, member of the Assolombarda Advisory Board, the Milan industry association. Recognized as a coffee authority, Mr. Illy’s writings are published on a regular basis, and he serves as a speaker at major conferences throughout the world. In 1995, he published Espresso Coffee: The Chemistry of Quality (Academic Press), now in its second edition, and his memoir, A Coffee Dream, was published in 2015 (Codice Edizioni). He was the main contributor to Altagamma: Strategie per l’Italia d’Eccellenza, published in 2018 (Skyra). He is a passionate supporter of the stakeholder company business model, and firmly advocates for corporate responsibility as as means to improve society. A “humanist chemist,” as he likes to define himself, Mr. Illy also promotes culture and art, a sphere in which illycaffè has always been active. Under his leadership, the Altagamma Foundation was officially recognized as an ambassador of the Italian lifestyle in the world. His numerous professional recognitions include Marketing Superstar (Advertising Age, 1996); Entrepreneur of the Year (Ernst &amp; Young, 2004); Capo d’Orlando (2013), and Guido Carli (2014). He was named Cavaliere del Lavoro by the President of the Italian Republic in 2018. Mr. Illy received a degree in Chemistry from the University of Trieste, and an Executive MBA from SDA-Bocconi in Milan. Additionally, he earned a certificate from the Advanced Management Program at Harvard Business School, and studied Total Quality Management in Japan, Innovation at MIT, Exponential Technologies at Singularity University and Complexity Science at the University of Oxford. Born in Trieste in 1964, he is married and has three daughters.